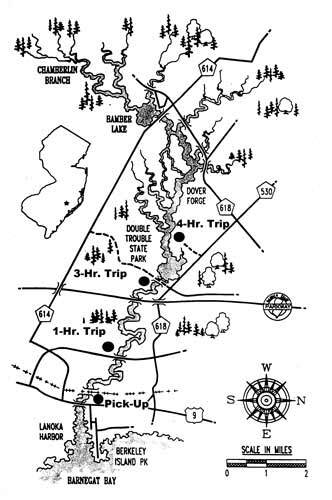 Cedar Creek Campground is a full-service outfitter: we rent kayaks and canoes and we transport you up stream for a day on the water. But here’s the best part, after a good day of paddling there is no waiting for the van to arrive. 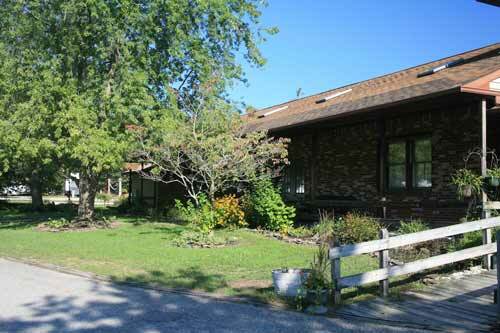 You simply arrive, right back at our campground to hot showers and restrooms. You can freshen up for a night on the town or simply a relaxing ride home. Cedar Creek: A Truly Unique Paddling Experience for Newbies and Experienced Paddlers Alike. Then there is the flow: You won’t see a riff of white water, but you will experience a strong, steady current, flowing through twists and turns and jug handle bends. Canoeing teams will test their skills and their relationships anticipating each twist in the river. Wear a bathing suit or athletic shorts and top that dry quickly. Wear water shoes or old sneakers because creek beds are filled with stones, sticks and the like. It’s best to have something on your feet. If you wear glasses, we suggest picking up a pair of “Croakies” to hold them to your head. You can find croakies (and other brands) at athletic stores or in our gift shop. Or wear contacts. REMEMBER: there are no trash cans along the way, so what you bring in, you must bring out. Plastic water bottles and the like are hazardous to wildlife. 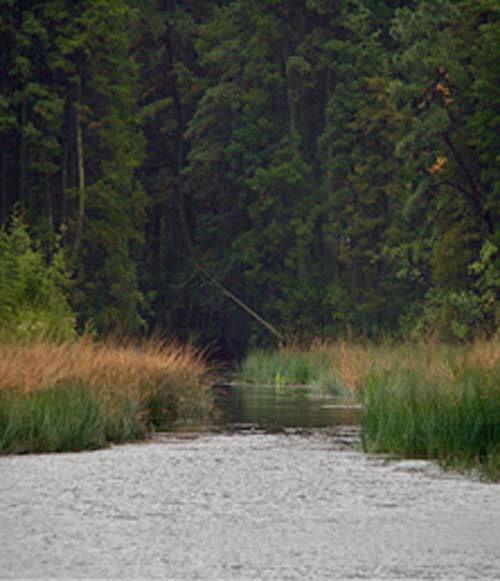 Our Kayak & Canoe livery will take you up stream to one of 3 locations. And here’s the best part: After a beautiful day on the creek, there’s no waiting around in cold, wet clothes as the sun sets for a pickup. 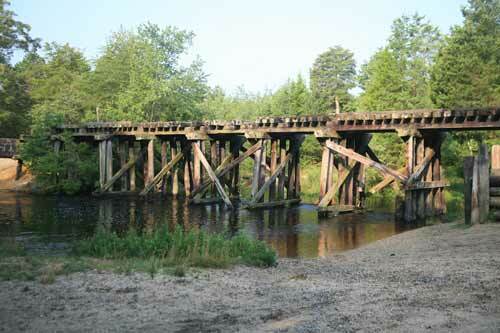 Just paddle right down river to the abandoned rail bridge and pull your boats out there. You’ll arrive steps away from our campground and a warm shower (whether or not you are a registered overnight guest at Cedar Creek Campground) — how great is that? Super great! Paddle times are approximate depending on the speed of the river and the muscles in your arms. All prices for all trips are based on two people and include paddles, lifejackets, transportation and all applicable taxes. All prices for all trips are based on one person and include paddles, lifejackets, transportation and all applicable taxes. 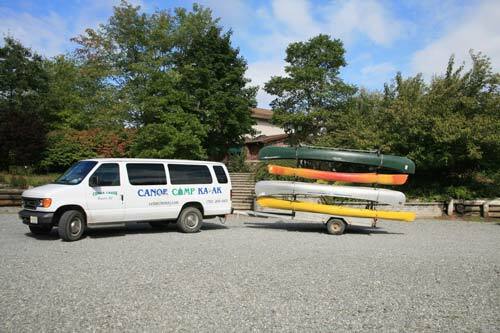 We will transport your personal canoe or kayak upstream to any of our regularly scheduled stops at our scheduled times. 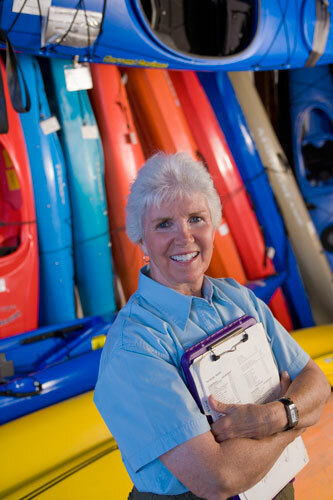 We are currently selling canoes, kayaks and paddle boards, prices vary depending on the condition of the equipment. Hot Shower & Dry Clothes! Yeah That’s the Ticket! After a beautiful day on the creek — and maybe a dip or two in the water, who needs a soggy bottom as you drive home on the GSP? Not you! That’s why anyone renting a Kayak or Canoe is welcome to use our showers at the end of the day. (You do not need to be a registered overnight guest.) So go ahead, freshen up and put on some nice dry clothes. OR, make a day and a night of it and head out to the boardwalk for more fun!